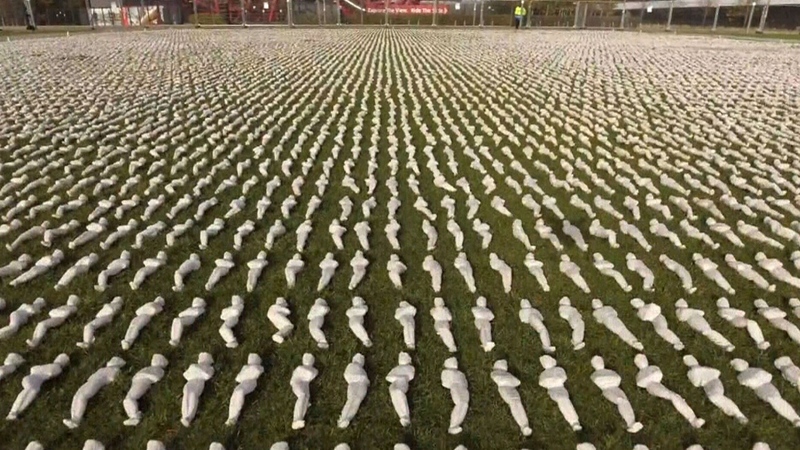 During a week of tributes marking 100 years since the end of the First World War, few are as breathtaking as the 72,396 small white shrouds set up on the lawn at London’s Queen Elizabeth Olympic Park. Artist Rob Heard spent five years creating the tribute, which features one man-shaped shroud for every Commonwealth soldier who fought at the Battle of the Somme and whose body was never found. “I think it's important that we don't just remember them, that we realize that they were people,” Heard told CTV’s Daniele Hamamdjian. The five-month British offensive in northern France killed or wounded approximately 1.2 million people, and yet little territory was gained. About half of the deaths were Germans. The other half were from the Commonwealth, including more than 24,700 Canadians and Newfoundlanders. Sally Robinson’s great-great uncle Sydney Nicholson died at the Somme when he was 26 years old, and was never located. She said that Heard’s artwork offers him a kind of homecoming. 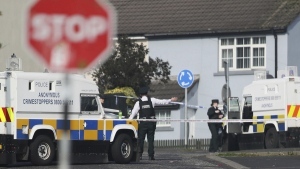 “That’s important for the family ... to know that someone else has held him, has thought of him,” Robinson told Heard. Another stunning visual tribute to First World War soldiers is on display at the Tower of London. Called Beyond the Deepening Shadow, the tower’s moat is gradually illuminated each night by individual flames, accompanied by music and poetry. In Ottawa, the Peace Tower is stunning visitors with its projections of virtual poppies. In Toronto, more than 11,800 Canadian flags have been planted to honour the 118,000 Canadians soldiers who have died in all wars. Thousands of shrouds have been set up in London's Queen Elizabeth Olympic Park in honour of the men who died at the Battle of the Somme but were never found. Artist Ray Heard forms a doll from a shroud, in London, U.K.